I wish that I were inspired and enthused about cooking everyday, but it's not so. Today my daughter is making dinner and will illustrate for you how simple it can be. First, buy a large (3 pound) bag of frozen meatballs. Empty them into your crockpot. 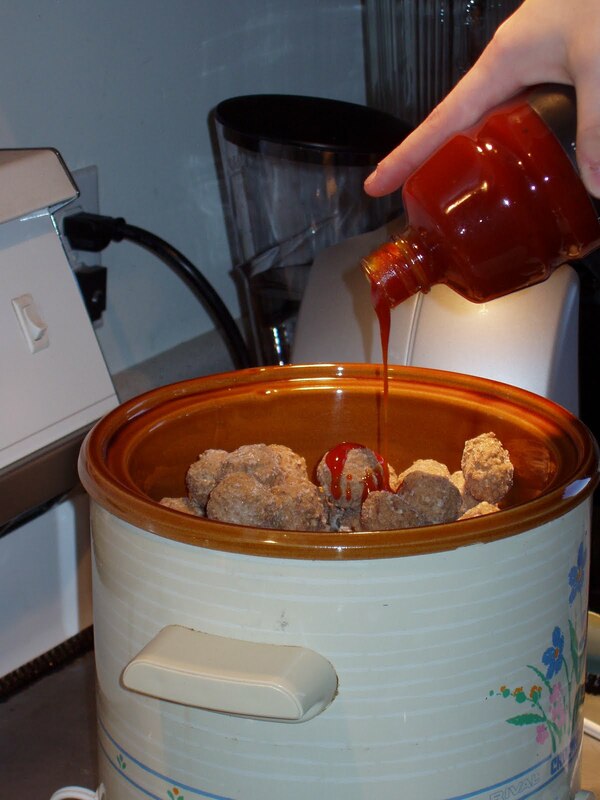 Pour a 2 cup bottle of Honey Garlic BBQ sauce over the meatballs. Plug in your crockpot, turn the setting to low and cover. Now leave it alone for about 8 hours and you will have wonderful swedish style meatballs at dinner time. That being all finished, off she went to school. I still needed lunch. A search of the refrigerator turned up a dish of cooked spagetti squash. To prepare the squash, bring a pan of water to a boil, gently place the whole squash in the water, cover and leave to boil for about 30 minutes. It is done when you can easily pirce the skin with a fork. When it's cool enough to handle, cut it in half from top to bottom, scoop out the seeds and stringy stuff. Then using a fork gently shred the flesh. it will look just like spagetti. Serve with a bit of butter and shredded cheese. This is a very versitile vegetable as it has such a gentle flavour. Add your choice of spicy sauces. Today I thought I would experiment. I spooned some cooked squash in a bowl and topped with an egg. 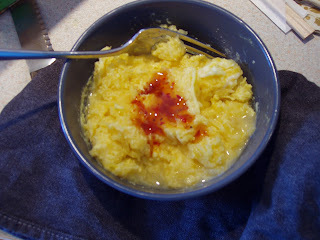 Mixed them together well and then put it in the microwave on high for 3 minutes, stirring after each minute. Then added some shredded cheddar and cooked for another 20 seconds to melt the cheese. I topped this with a good dollop of Thai Sweet and Spicy Sauce. It made for a good lunch with not too many calories and lots of vegetable serving. Foodland Ontario has another spagetti squash recipe. Hmm I never thought to do that meatballs like that. Thanks for sharing. I love my slowcooker and I will be trying that recipe out. I do my meatballs just like that for my Christmas Eve gathering. 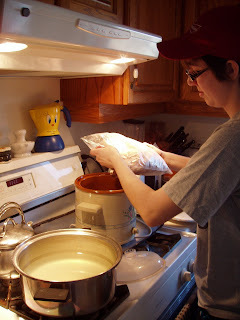 Your post reminded me that I have a container of leftovers in the freezer. I think I will get them out for this weekend! I do love my crockpot too. Meatboalls are great for so many things. I didn't know they made a garlic honey barbeque sauce. That sounds so good. I'm going to have to find it. I've always done meatballs with the chili sauce/grape jelly combo. Maybe it is time I broke out of the mold and tried soemthing new! Thanks for posting! Loved the photos! And easy, peasy crockpot recipe. 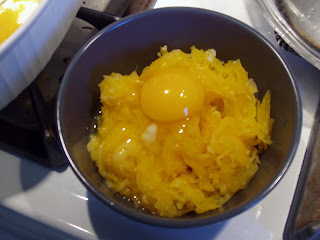 Great way to use up spaghetti squash; I bet it was good. 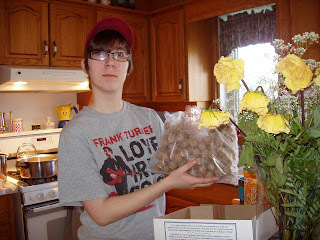 my niece just made some meatballs in the crockpot with a peanut sauce. yum...and so easy. What to name a pig or three?